Small gate which Lord Masamune Date used to have lead you to the pond and water garden where water of the river Aiba comes. Sterically built stone arrangement is beautiful. 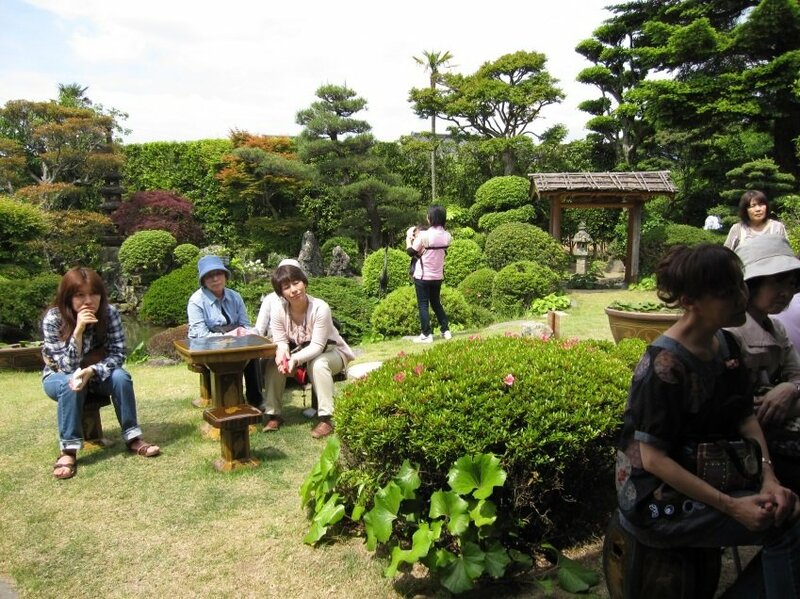 Stone stool in the center of the garden is said to be 20,000 year-old fossil of Kusu-tree, Cinamomum camphora.